This is a great little route that has a variety of little challenges throughout the route. The route starts at Patterdale and you head South towards the Kirkstone Pass. At Bridgend the route heads for the fells and in particular Boardale Hause. The climb up Boardale Hause is a great little challenge with a very steep section at the top, unless you are Lance you will be pushing! Once you are at the top of the climb you are met with quite a featureless part of the fell. You bear slightly right and head for the ridge right side in the distance. The terrain once you get across the boggy bit is fantastic singletrack across the ridge. The next stage of the ride is by far the best. 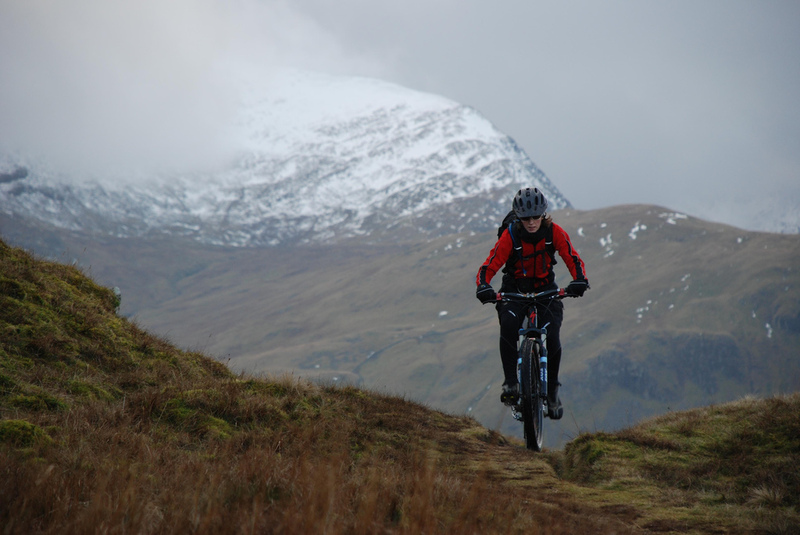 It is an awesome singletrack descent to Martindale. The road is picked up at the Dalehead buildings. A small section of bridleway is taken across to Sandwick before the road is picked up again. Before the next car park a signpost to Patterdale is the next turning point. This trail takes you lakeside. The trail is very technical in parts but a great challenge and fantastic scenery next to Ullswater. This ride is 18km and a great ride except when windy on top!! It has everything to keep you interested throughout.